This Tuesday at 630pm is our 3rd volunteer induction evening of 2019. Open to all our induction evenings are your way to get involved with our varied and diverse work helping animals and the community in Guernsey. You need to be at least 13 years old to help at the Shelter. If you are younger then you could still help. If you talk to your parents or guardians they may help you with fund raising for the Animal Shelter. The GSPCA are delighted to announce our first volunteer induction of 2019 a huge success with 21 new volunteers attending and the first two made a start today. 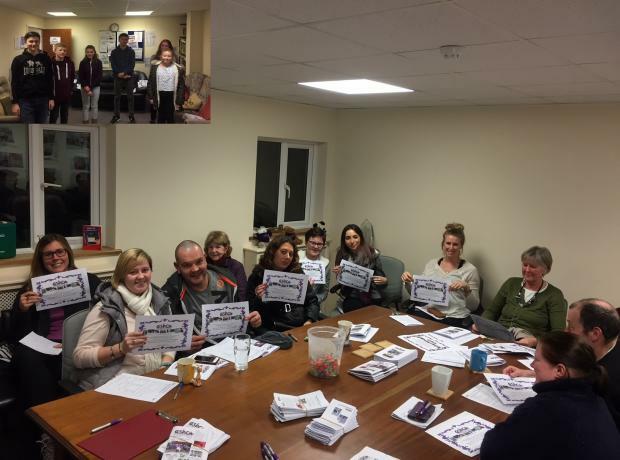 Steve Byrne GSPCA Manager said "We had a fantastic night on Monday and inducted 21 new volunteers all wanting to help out at the GSPCA." "Last year through the volunteer inductions we greeted and trained 189 volunteers not to mention 100's more through other placements, voluntourists and groups." We are always looking for volunteers to help at the Shelter in a variety of roles and next Monday we have the first volunteer induction of 2019. Steve Byrne GSPCA Manager said "We are very much looking forward to our first volunteer induction of 2019 next Monday." "There is no need to book a place just turn up and we can get you involved with our work helping animals and the community." 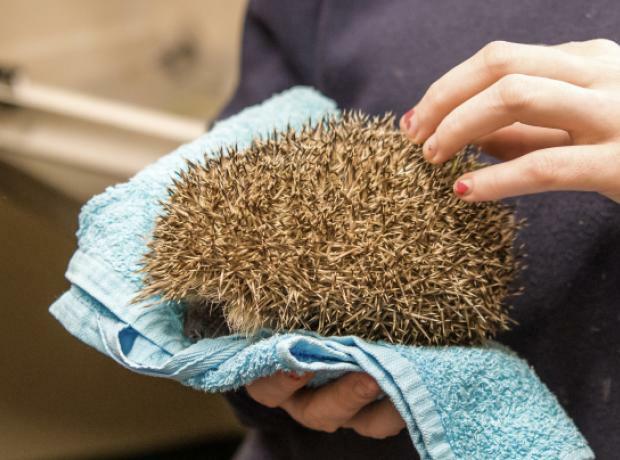 Over the last month the GSPCA have been delighted and extremely grateful to all of the help from the Guernsey Adults with Leaning Disabilities who have been helping out at the Animal Shelter in St Andrews. 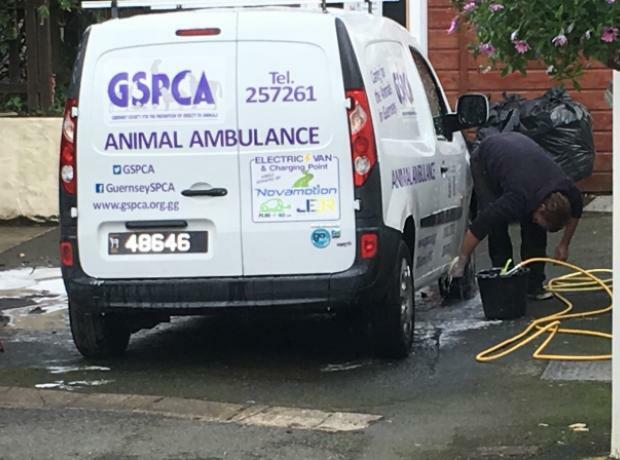 On their first day last month they were met by the GSPCA Community and Training Officer Tim Pellett who gave them an induction and then able working alongside the Work to Benefit workforce they have helped with many tasks around the GSPCA. Tonight at 6.30pm we hold our tenth volunteer induction of 2018 and we have inducted through these alone 118 new volunteers, placements and work experience since the start of the year. All are welcome to the induction although for those wanting to help onsite at the Shelter the minimum age is 13. For volunteers under 13 we have a huge amount of events taking place which they can help at with a parent or guardian. 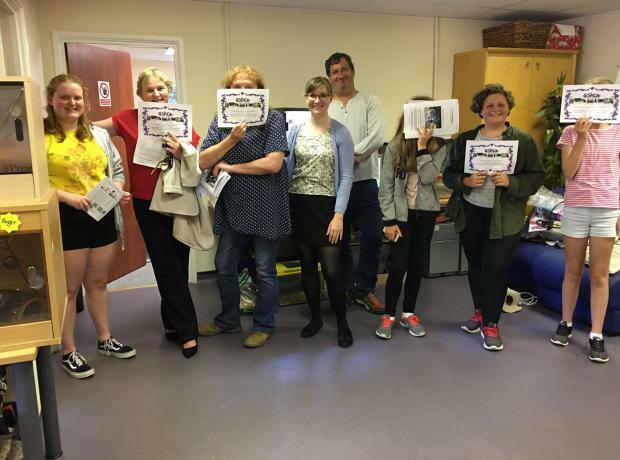 On Monday we held our seventh volunteer induction of 2018.. The induction will took place with GSPCA Animal Care Assistant Sarah langlois who greeted the 20 new volunteers with a few of their friends. The group learnt all about who we are, what we do, the ways volunteers can help and an induction of how to help safely. Although volunteering at the Animal Shelter starts at 13 for those under 13 they are always welcome to attend and get involved with events and fund raising. We have a huge number of events over the summer and we are always looking for help. Last night we held our sixth volunteer induction of 2018 which took place during National Volunteers Week. The induction will took place with GSPCA Manager Steve Byrne who greeted the 5 new volunteers with a few of their friends. On Monday 4th June we will hold our sixth volunteer induction of 2018 which takes place during the National Volunteers Week. The induction will take place with GSPCA Manager Steve Byrne who will greet the new volunteers and then show a video about who we are, what we do, the ways volunteers can help and an induction of how to help safely to all the new volunteers who need to be aged from 13 years upwards to help with the animals on site. 24 hours a day volunteers help the GSPCA team ensure we provide a 24/7 service and last night we held our fifth induction on 2018. At the induction we welcomed 22 new volunteers 4 of which are undergoing their Bronze Duke of Edinburgh and 8 under taking their work experience of which 2 started today. Last Wednesday the GSPCA greeted 22 new volunteers to the team. The induction took place at the GSPCA in St Andrews at 6.30pm and the room was overflowing with those wanting to help out in many ways. The induction took place with GSPCA Manager Steve Byrne who greeted the new volunteers and then played a video about who we are, what we do, the ways volunteers can help and an induction of how to help safely.